I got a great email a few days ago and I just had to post it here (with permission of course!). His progress has not always been totally straightforward but he has had an extremely dedicated owner who has turned into a bit of a hoof obsessive, like many of us. His attention to detail and unrelenting care of Alfie's feet has certainly paid off. "I thought you might be interested – I had Alfie x-rayed today (to check on his hocks) but had his front feet done as well. I hadn't had him x-rayed since his "terminal navicular diagnosis" just before he came down to you, on the basis that once he came back if he was having a full, athletic, and pain free life that's all that mattered, but I was nonetheless interested to see the x-rays of his front feet when I had the opportunity. The vet advised that there was no abnormal wear and no wear that you wouldn't otherwise see in a 17 y.o. active horse, and no navicular diagnosis. Interestingly, the front foot that I would consider much "healthier & better" of the two (better frog, wider heel, shorter toe), was in fact showing more wear (the sole thinner and a tiny bit more sign of age) – so I think that maybe he is favouring it (and that diagonal in general) a bit because it is stronger. Anyway, what great news and what a rewarding result and recognition for your approach!" a. Better - overall it's much better, with better performance in plough (no lost shoes, less weight, easier to lift foot), wet ground, great on grass, no difference on jumping, fine on smooth tarmac (tho will slow down), (tarmac without gravel, or grit, or when the verge is accessible and safe), it's also safer on tarmac vs shoes as you don't slip when turning (to jump a wall etc) etc. 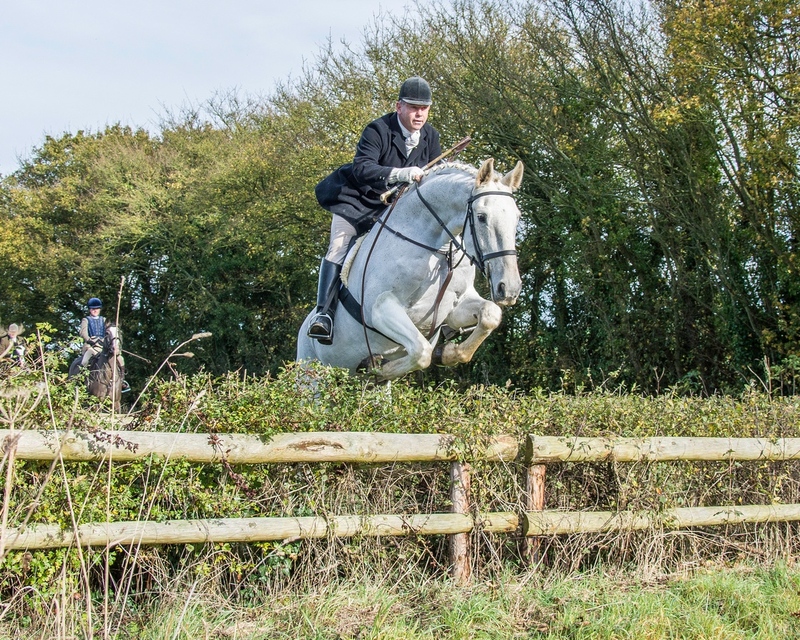 c. Cornering on slippery grass around headlands (you have to manage your balance), tho the horse becomes more aware of the slipperiness of what's under his feet and adjusts accordingly. a. I am convinced that not having the extra weight of shoes makes a big difference to the amount of energy expended during the day/how tired he gets.(i.e. I think lightweight racing plates taken to the extreme). This is a big plus as a less tired horse is safer etc. b. I think also the focus on better diet and its constituents makes for a stronger horse with better stamina. The extra work over multiple surfaces seems to benefit the foot, except on the days when there is lots of roadwork on roads where there is grit/gravel, and I think the sole gets sore (that was the event in my earlier email). In VWH area this seems to be our low lying, wet areas where grit washes onto the roads. Think I might to skip those Saturdays in future, now I know which areas they are. So in conclusion self trim works fine / better, save that there is a need for some level of awareness and management / avoidance when on hard surfaces with grit/gravel/broken stone on top." Dolly will be going home in a few days and its time for her last update. As with all the horses who come here, her photos have been up online and are available for anyone to look at. The internet being what it is, that means there are dozens of opinions freely being offered about her feet. Since there is only one way (apart from shoeing) that humans can intervene in horses' feet this means that many people are advising all sorts of trimming techniques, despite the fact that not a single one of them has seen her move a step. By way of a reminder, the top photo shows Dolly's foot when she arrived and the lower one is today. She has not been trimmed in either photo or at any time while she was here. I hope you can see a more robust palmar hoof and better depth of digital cushion, though this is still much weaker than it should be. It should also be fairly clear that trimming is irrelevant in developing this part of the foot. As her palmar hoof has developed her limb is better supported and her hoof pastern axis and breakover have normalised, again with out trimming. This was undoubtedly a pretty horrid foot with severely contracted heels and frog. Its also weak and flat and the only area you could trim without drawing blood are the bars and perhaps a smidgeon of toe. Guess what - lots of people wanted to trim those, either unaware or uncaring that such a trim would put more load on an already compromised heel and frog which were nowhere near ready for additional strain. Fast forward to today and you can see that Dolly has a slowly improving palmar hoof which is still compromised and will need lots of TLC over the next few months. The bars and long toe are gradually going of their own accord as the palmar hoof strengthens and there is no need for aggressive removal. In fact in a compromised foot like Dolly's pretty much any structure which IS there has a reason for being there - it may not look like a strong foot because it is NOT a strong foot, but its the best she can do for now. This winter has been the worst I've known for frog infections and central sulcus splits and despite treating this daily it has not completely gone, but it has improved and her better landing means she should stay on the right track and once we have some dry weather it will, I hope go for good. Again, you should be able to see a very clear difference between her palmar hoof in the lower photo, today, and the upper photo when she arrived. Her foot is now underneath her and the long toe will slowly grow out as her new hoof capsule grows in. Why not trim it? Because a trim would suddenly increase load on a palmar hoof that has been injured and is some months from full strength. As with her left foot, her right foot has changed considerably; although it is still a weak foot she has a stronger palmar hoof and her foot is less contracted. She still has fairly flat feet because the sole you can see in these photos is still her old hoof capsule. Once the new hoof is fully grown in she will have better concavity. A foot which is a work in progress - stronger than it was but far from perfect. However Dolly knows exactly what she has to do with her feet and has done a great job of improving them so far. 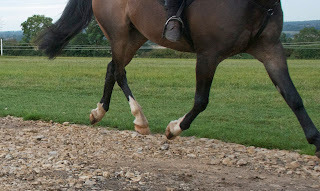 With no trimming she has built up her palmar hoof, shortened her toe, developed better sole depth, de-contracted her heels and frog and rebalanced her foot.